Green shades of the tropical forest surrounding Madagascar’s largest seaport, Tamatave, is all that Google Maps shows. Then there is the vast expanse of the Indian Ocean. But zooming in, some 20 kilometres southwest of the city, you can see it. Satellite images reveal meandering streams of a sickly, reddish color. A tentacular anomaly in the middle of the forest, like a crimson octopus, one that owes nothing to nature and everything to a manmade operation: a huge mining project undertaken in the name of development. These reddish lakes have become the symbol of the Ambatovy mine, a massive operation of eight billion dollars today that’s designed to extract nickel and cobalt from Madagascar’s rich soil. The project initially cost just under four billion dollars and was started in 2007 by a relatively small Canadian mining company, Dynatec, which got half of its funding from development institution loans. The EIB granted 8% of this investment, with a 305 million dollar loan. But the private sector’s promised development has been slow to materialize. The project only really began five years later, in 2012. In the meantime, insecticides had been sprayed over the facilities to protect construction workers from malaria. Those living next to the mine were the first to realize that something had gone seriously wrong. Bees were disappearing, pollination had stopped and crops were dying. 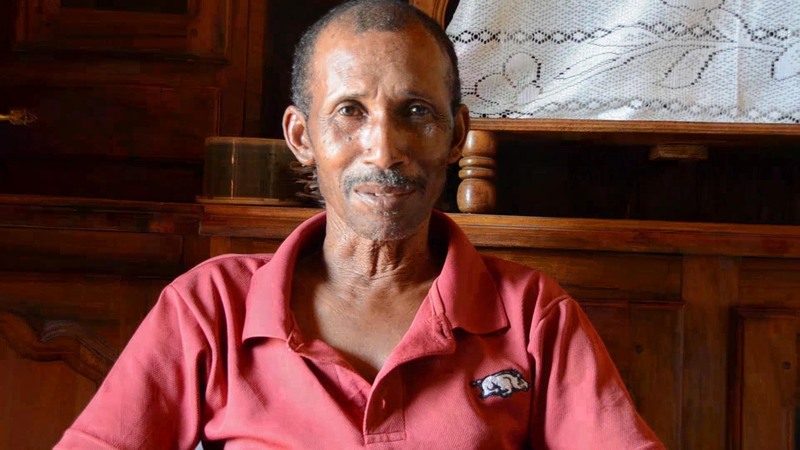 Jean-Louis Bérard, a retired French architect who owns 300 hectares of land in Madagascar and who had just started to grow litchis, remembers: “I had 350 hives and suddenly, starting in September 2007, all the bees died off within three months.” Local farmers within a 25 to 30 km range of the mine were having the same problem and started to suspect that Ambatovy’s insecticides were the reason the bees had disappeared, and crops had not been pollinated. On average, this represented “a loss of 40 tons of honey, 1,000 tons of rice, 30,000 tons of litchis, 10,000 tons of coconuts and 1,000 tons of coffee every year”, estimates Jean-Louis Bérard. The waste lake (or tailing facility) close to Tamatave. At that point, the project’s first promoter was already gone as well. Dynatec had been taken over by another Canadian company, Toronto-based Sherritt. But the problems linked to the Ambatovy mine got quickly worse. One of the reasons was that this massive operation consists of several parts: the open pit mine 200 kilometres from Tamatave; a 200-kilometre partially-buried pipeline for ore and water slurry that connects the mine to the Tamatave processing plant; a 750-hectare facility outside Tamatave comprising waste lakes and a series of interconnecting dams where leftover “tailing” material is stored. The project also involves expanding the port to allow for imports of raw materials and export of a mixed metal sulphide. A forest of 2500 ha was directly affected by the project and some households were displaced as a result of controversial compensation agreements that divided the community. The NGO Re:Common has discovered that relocation involved moving rice paddy farmers to less fertile lands that are prone to flooding. The second environmental warning came on February 26, 2012. During factory trials, a malfunctioning valve caused a sulphur-dioxide leak, and 50 people in the facility were poisoned. Three similar incidents followed. In August that same year, the lake in the tailing facility started leaking and repairs had to be commissioned. The inhabitants were also faced with the smell from an ammonia transporting pipeline that cut through residential areas in Tamatave between the port and the factory. “Ammonia irritates the eyes and makes our throats dry,” says Rameliarisoa Bako, who lives in the Canada Sud area of Tamatave. “Children complain of mouth infections; old people complain of eye infections. We think this is because of the substances Amabatovy uses”. The EIB Complaints Mechanism Division in Luxemburg received five complaints. Jean-Louis Bérard who drafted these complaints clearly remembers the day he took EIB staff on a tour of the tailing facility. “Ambatovy had started to stock solid waste two months before. We couldn’t get through because there had been a leak. There was such a strong smell of sulfuric acid that we almost suffocated”, he says. The EIB Complaints Mechanism experts who came to investigate the problem of the disappearing bees seemed overwhelmed. 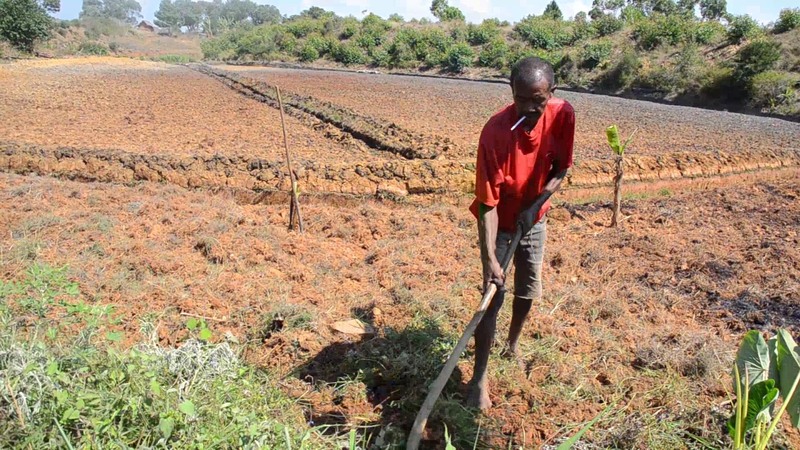 In their initial report they attributed the reddish color of the waste coming from the plant to the presence of laterite, a reddish clay-like material. But they didn’t hide the fact that there were reasons to be worried: extreme weather could cause the waste lakes to flood the surrounding environment and leaks in the pipeline between the factory and the tailing facility could cause further pollution. In the end, the EIB staff didn’t have the environmental expertise to conduct such a complex investigation and had no choice but to adopt the main points of a report done by a small Colorado-based consultancy, CAM. This company advises the lenders but is hired and paid by Ambatovy. This is common practice in development projects but is often criticized as a potential conflict of interest. Meanwhile, the EIB Complaints Mechanism had hired its own consultancy company, COWI, to help draft a final report. Not many people have seen it, as its publication has been delayed. The flaws in the Ambatovy project have divided EIB management and the some managers made it clear they wanted changes made to the report. “We made compromises but now it will go to the management committee for a decision and then it will be published. Some of the allegations were justified. Not everything”, is all that Felismino Alcarpe, the head of the EIB’s Complaints Mechanism would say. Today, environmental concerns surrounding the Ambatovy project continue to grow. Tamatave fishermen wonder about the waste dumped into the sea. Inhabitants say that the water of local rivers has been affected, which has consequences for fauna, crops and most of all human health. 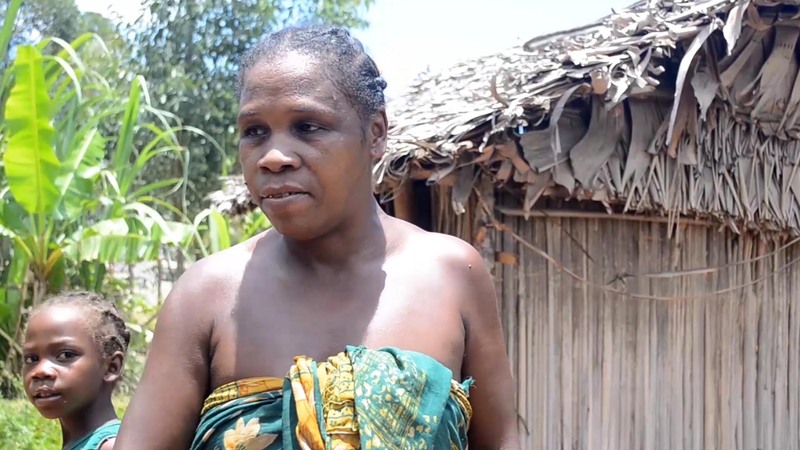 “Before Sherritt arrived, we had drinking water,” says Mada, another inhabitant. “But since this dam [on the waste lake] was built, we’ve suffered from illnesses and bad drinking water. Every day, we feel sick.” The EIB staff in Luxembourg don’t see how this could be the case. According to them, water sample analysis of the rivers in the area shows nothing other than a higher than average level of manganese, a situation that the mine’s managers are trying to keep in check but which doesn’t affect human health. Still, Ambatovy has acknowledged to us in a written reply that a few villages around the waste lake had to be provided with drinking water for a while “before a water distribution network was delivered” to these communities. Why would such investment be necessary if the higher manganese levels don’t affect human health? Ambatovy replied that water was provided “when the manganese levels measured in the Park [waste lake] is sometimes a little higher than international standards. […] This water distribution is undertaken to dissipate fears in the population”. While Ambatovy stresses it is constantly monitoring that water and air quality are in line with international standards and that a grievance mechanism is in place locally, at the end of January 2017 our team of local journalists were able to confirm the strong smell of sulfuric acid mentioned by interviewees. Now that the insecticide spraying has stopped, about 60% of the bees are back, says Jean-Louis Bérard. Still, nobody knows what long-term effects the spraying will have on human health. Above all, everyone is fearful of a leak from the waste lake, or the next storm (after all the deforestation and earth removal in the project they’re worried about a landslide). CAM, the consultancy that reports back to the lenders, keeps visiting and provides reports on a quarterly basis while the EIB visits at least once a year. Its staff has heard complaints: “we have had issues raised – environmental and social issues – and we take it up with the management of the company,” stresses Eva Maria Mayerhofer, an EIB Senior Environmental Specialist. Some of these issues arise because there is not sufficient stakeholder engagement by those clients”, she says, referring to allegations that some private borrowers are prepared to take the money but won’t commit to the development aspect. 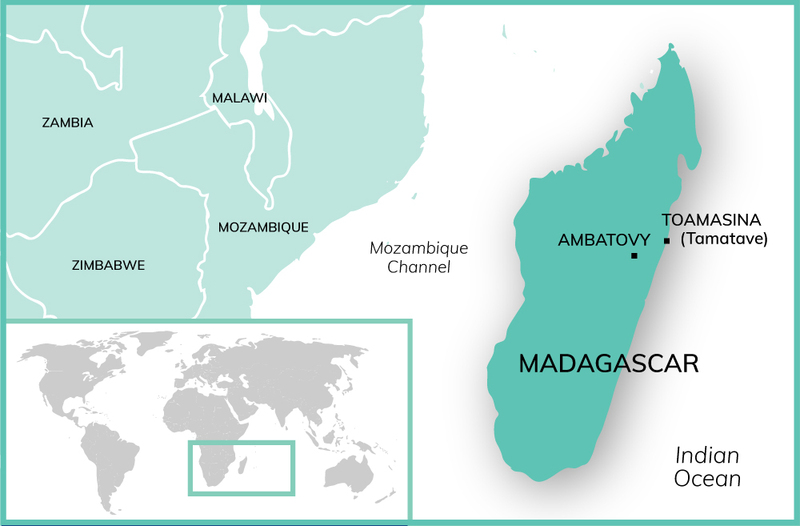 There is certainly not much regulatory pressure either: Ambatovy finances the monitoring of the project’s environmental impact that’s carried out by Madagascar’s National Environment Office (ONE). Cecile Bidaud, a biodiversity researcher at Bangor University, says this environmental monitoring is not done systematically. “This environmental monitoring is problematic. Relatively few funds were allocated [for monitoring] and those funds were spent at the beginning of the project. ONE has a 30-year contract with Ambatovy and must produce a report every six months, but it just can’t afford to do so any longer”. So what is left for people in Madagascar? “I helped the authorities to establish the project and I can tell you that Ambatovy has proved to be very disappointing”, says Ramanantsialonina Abel, a local figure who lives in Ampitambe, Moramanga east of the capital Antananarivo. “The company doesn’t hire local employees and those who did get themselves recruited were fired. Ambatovy has destroyed many things. Erosion has ruined the paddy fields and the forest, the water streams have dried up and the project has had a negative effect on our health”, he says. But worse may be yet to come. The commodities cycle has turned since the 2000s and there has been an acute slowdown in demand for minerals. A free fall of nickel prices has caused massive financial losses for the Ambatovy mining complex and more pain for Sherritt. The Canadian miner has been trying hard to reduce its exposure to the project. A blockage in the tailing pipeline and what Sherritt called “plant equipment reliability issues” contributed to sluggish 2016 financial results for Ambatovy. By the summer the joint venture was short of cash and negotiated with its lenders, including the EIB, to reschedule its debt. Demonstrations by laid-off workers regularly add to social tension and the population’s sense of despair in Tamatave. In Ambatovy, the marriage of economic development with private interests seems to be an unhappy one. Mining : an EIB special interest? Between 2006 and 2016, a quarter of the EIB’s ACP funding went into energy projects (2 billion euros) and 5% financed mining operations. The EIB says that projects in the mining sector are usually prime projects for bringing value to indigenous natural resources, increasing export revenues and generating fiscal income for the country through royalties and corporate taxes. Since the 1990s, it has invested for example in graphite and titanium mines in Mozambique, gold mines in Papua New Guinea and Mali, or a diamond mine in Botswana. But it didn’t take long before the institution was facing the scandal of the Mopani copper mine in Zambia. In 2005, it had granted a 50 million euro loan to reduce emissions of sulphur dioxide at the plant. Amidst reports of financial and tax irregularities, a subsequent investigation by the Zambian authorities and health complaints by residents due to air and water pollution, Mopani’s parent company, the Switzerland based multinational Glencore, quietly ended its contractual relationship with the EIB, paying back it’s loan early in 2012. The European Anti-Fraud Office OLAF closed its investigation with no action because “no EU budget funds were involved”. Nowadays, the EIB involvement in the mining sector has become more cautious. Since 2001 the institution is an equity holder into all the Africa Lion mining funds. It invested 15 million USD of the Investment Facility into the 79 million USD Africa Lion III. The fund has stakes in several African mines.